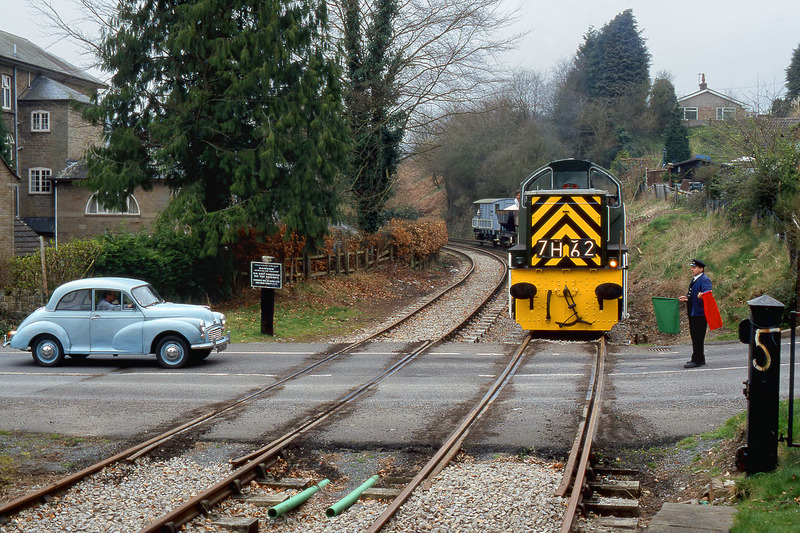 D9555 is flagged across the road at Parkend on 23 March 2002 during an East Midlands Railway Photographic Society photo charter at the Dean Forest Railway. This could very easily be a scene from the mid 1960s, when the 'Teddy Bears' worked ballast trains in the area. Especially convincing from this angle, as you can't see that the car is a 1969 registered vehicle, by which date the Class 14s had been virtually all sold into industry.